Thames21's goal is to reconnect communities back to healthy rivers through clean-ups, education, research and pollution prevention projects. 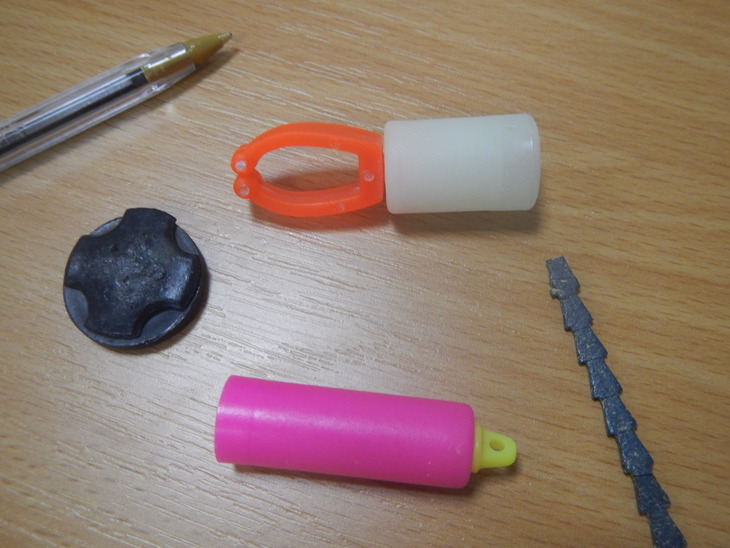 To mark the publication of a new report on Thames plastic, Thames21's Kirsten Downer takes a closer look at the weird objects found on the Thames to see what they say about the river’s health... and by extension, our own. These little chaps have a sweet name and an innocuous appearance. Many even come in nice pretty colours. But don't be fooled: they pose a threat to our river, and the wider marine environment. Billions of these lentil-sized plastic pellets are shipped around the world as the basic raw material used to make nearly all our plastic products. Unfortunately, increasing amounts of them are accumulating in our oceans and on our shores. 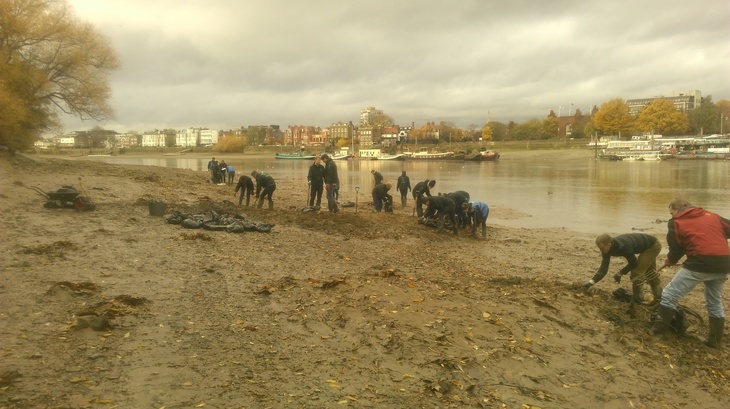 Last year a Thames River Watch volunteer found them inland for the first time on the foreshore in Hammersmith. 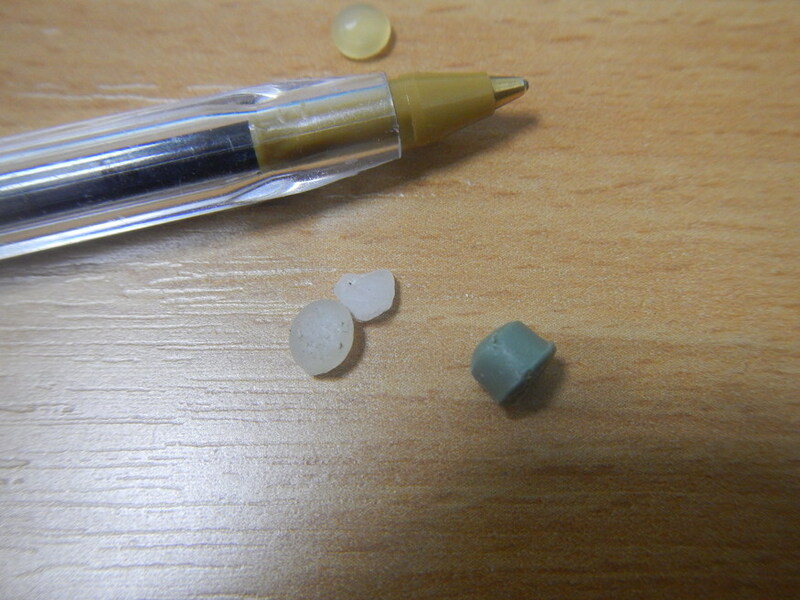 Because nurdles are so small, there's currently no practical way to remove them, unlike plastic bags and bottles. And over time they can fragment indefinitely, meaning they may be mistaken for planktonic food by animals lower down the food chain. How did they end up in the Thames? We need more data, and you can help. Join the Great Winter Nurdle Hunt from 3-5 February. 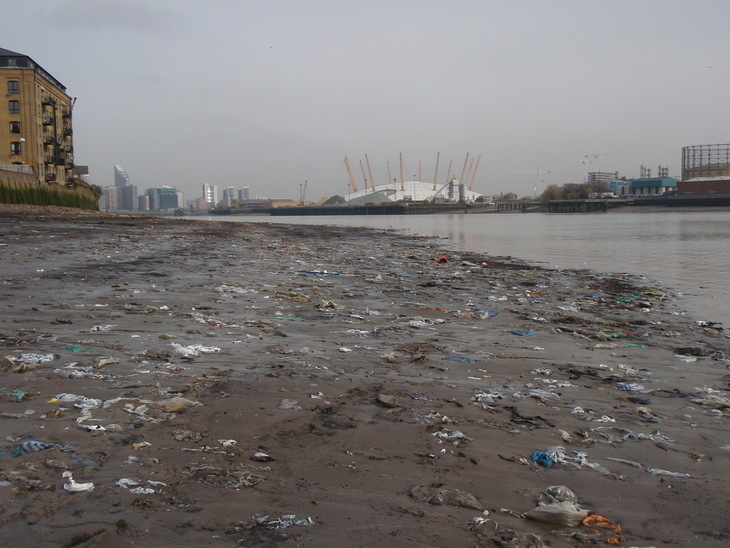 Or, next time you’re on the Thames foreshore,look out for them and post any findings to the Great Nurdle Hunt website. If you don't have children (or a partner who acts like one), you might not have met these. 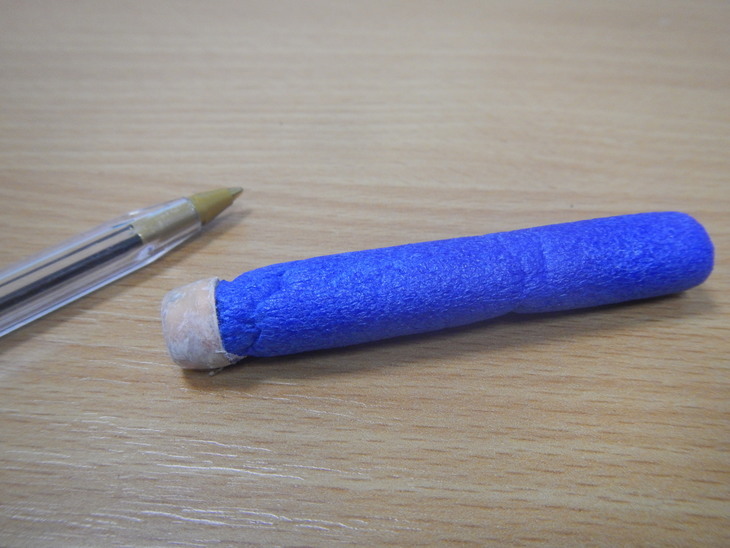 Nerf bullets are made from a plasticised foam and used in many popular children's toys, notably guns. Just remember: never 'nerf' outside. The plastic will never break down completely. 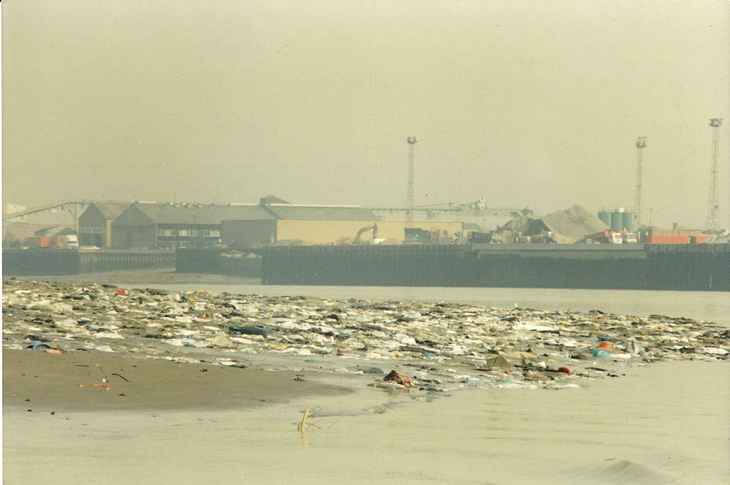 The Thames, and other London tributaries, could do without the added plastic load. 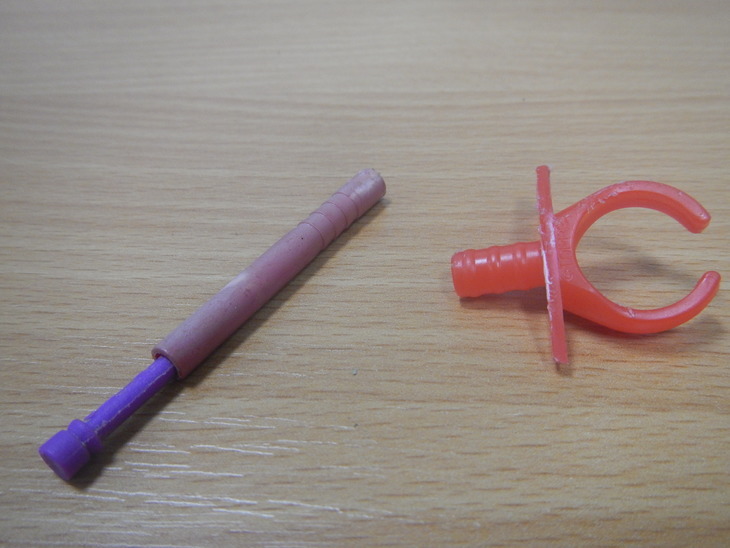 Exhibit A on left is the remnant of a Whistle Pop, a sweet marketed as 'the lolly pop which could whistle' back in the 1980s. It’s been revived, so it's hard to know if the stem of these we found on the foreshore are historic or recent. We think that Exhibit B, the red ring-shaped piece of plastic, is a Ring Pop — a sweet you can wear on your finger. Sugar aside, plastic gimmicks are another reason to be wary of some kids' sweets. Since launching in 2014, Thames River Watch has increasingly refined its data, identifying increasing amounts of the waste objects we find on the foreshore, many of which are fragmented or weathered. Occasionally we get stumped, and as a citizen science project we love to crowd-source any quirky items. 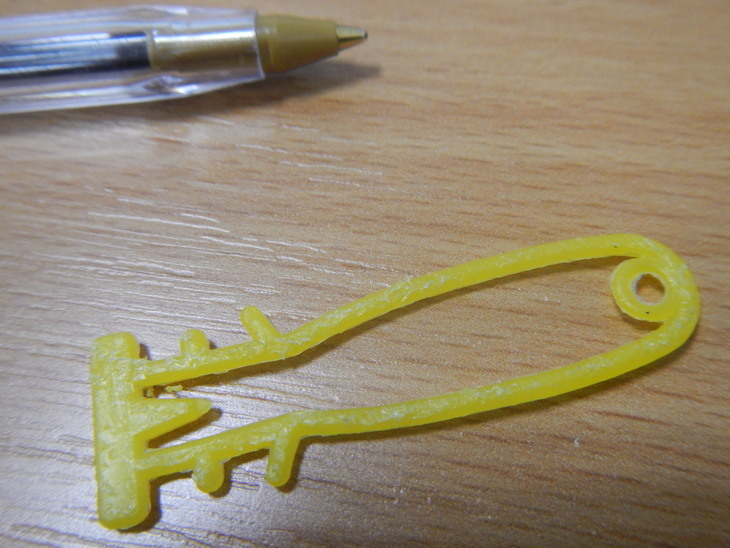 Last time we did this, several Londonist readers identified the above yellow plastic loop item as part of a two-part bag seal, used to secure a plastic net bag, the kind that marbles come in. 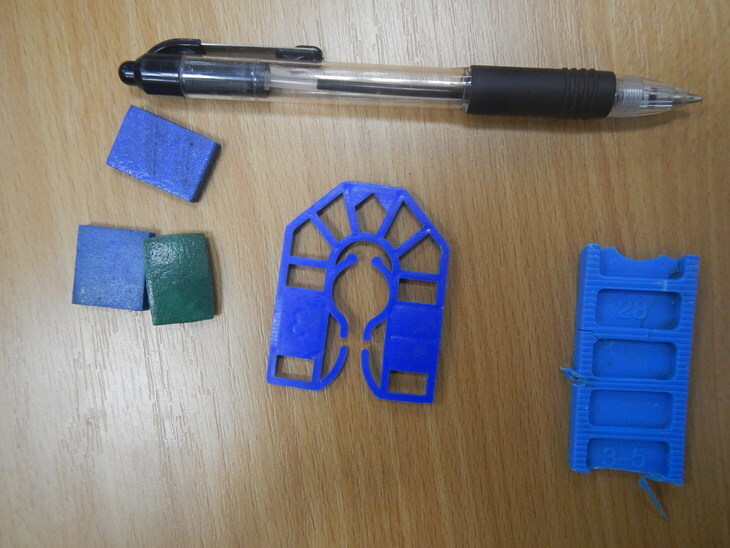 Unsurprisingly, given the amount of building work going on in London, some of the weird plastic we find comes from the construction industry. The tabs to the left are used by workmen to place on either side of panes of window glass, to ensure that nobody walks into them. We think the wedges on the right are used by builders to insert round window frames to get a temporary fit. At Thames River Watch you get the chance to marvel at a system that endlessly creates more absurd uses for plastic, with seemingly no sense of the dangers. 2,500. That's genuinely the number of single-use plastic drinks bottles we collected from the Thames foreshore in one day across 11 London sites. It was our biggest ever simultaneous clean-up event; from Kew Bridge in the west to The O2 in the east. There were several sites we couldn't access, so overall we suspect there were more than 3,000 single-use plastic drink bottles on London shores that day. 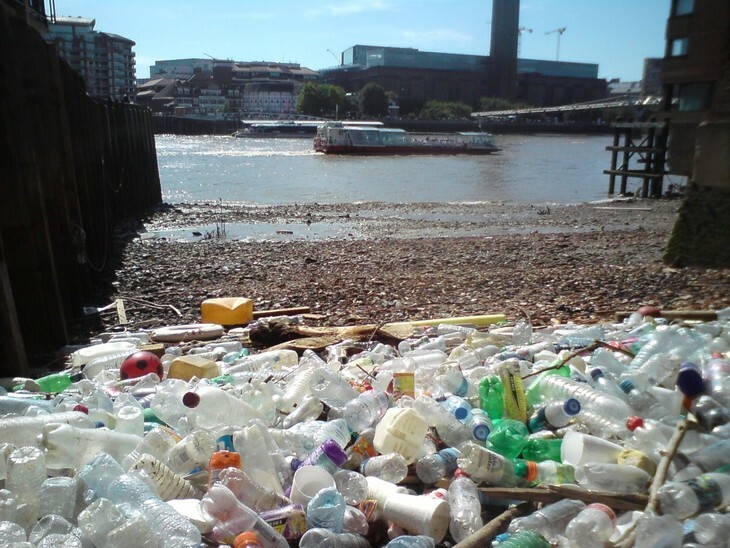 Our new report has more shocking statistics on the problem; we found that nearly half of all plastic bottles found on the Thames are bottled mineral water bottles — completely unnecessary if people use reusable drinking bottles. The One Less campaign aims to ban single-use plastic drinking bottles in London. Considering Delhi has just pledged to go single-use plastic free, surely we can do the same. Thames21 is also calling for a deposit return system, as this has helped solve the problem in other countries. The Thames curves and bends through our city, and tends to deposit the heavier, sinking plastic litter on the inside of those bends where the water moves more slowly. Here, you get the wet wipes and sanitary towels deposited from our sewage system during overflows — these both contain plastic. Untold thousands of wet wipes are altering the very shape of the river bank now, with new sand-bank type mounds appearing on the south London foreshore — whole ecosystems of mud and twigs binding themselves to non-biodegradable wet wipes. On one Barnes clean-up, we found 150 wet wipes in just one square metre — and this was just from the surface of the mounds. The first photo shows how the foreshore looked in 2000. The second is taken after nine years of clean-ups in 2009 — a huge amount of plastic has been removed; but it's still returning. Ordinary Londoners, in league with Thames21, have stopped huge amounts of plastic bags breaking down into microplastic and entering the marine environment. We're hoping that the plastic bag charge and related drops in plastic bag use will mean we see fewer bags depositing here in future. You can read more about Thames21's latest plastic research here and see them in action on the Sky News documentary A Plastic Tide. If you want to help us keep the pressure on to reduce plastic in our river, visit the Facebook page, sign up to the regular newsletter or become a volunteer citizen scientist. Join in campaigning for a deposit return system — and sign up to the One Less and Sky Ocean Rescue campaigns.